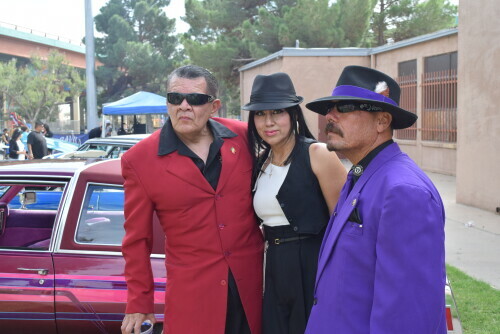 Individuals of Chicano heritage dressed in zoot suits standing next to a lowrider celebrating their roots at Lincoln Park Day in El Paso. 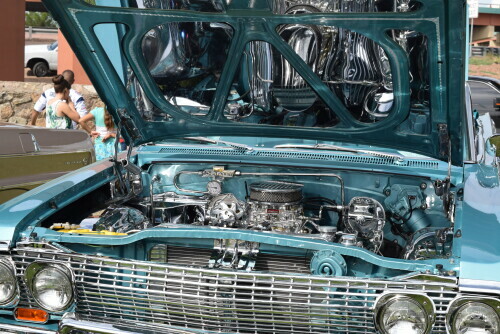 Engine inside Chevy lowrider being showcased for Lincoln Park Day in El Paso. 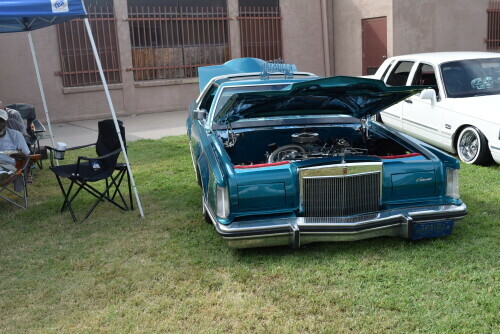 1981 Lincoln Mark VI lowrider being showcased in celebration of Lincoln Park Day in El Paso. 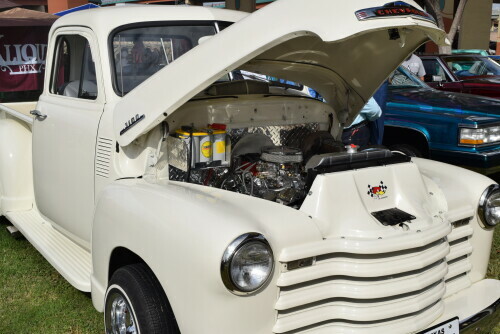 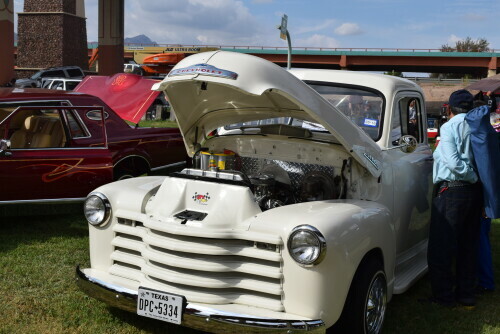 Cream 1951 Chevrolet 3100 being showcased in celebration of Lincoln Park Day in El Paso. 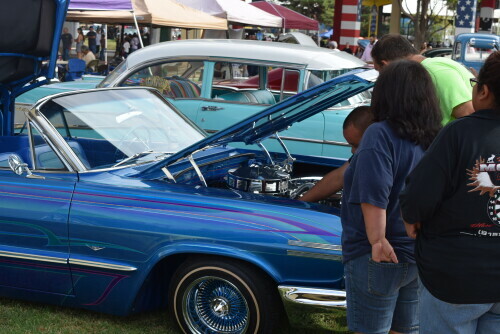 People checking out the engine of a lowrider being showcased in celebration of Lincoln Park Day in El Paso. 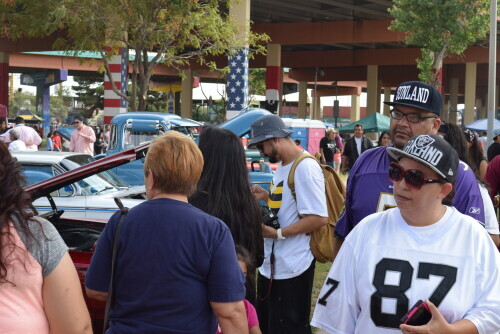 People checking out the lowriders and murals being showcased in celebration of Lincoln Park Day in El Paso. 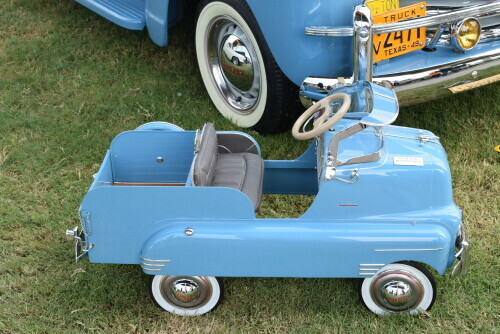 Miniature truck standing next to Chevy truck being showcased in celebration of Lincoln Park Day in El Paso. 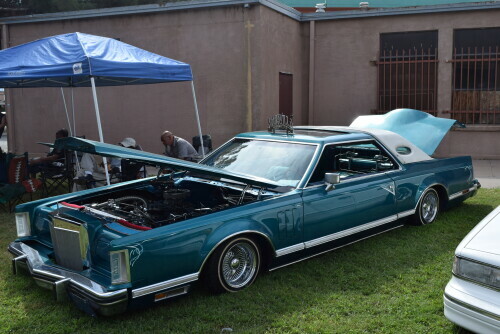 Blue Chevy 3100 being showcased at Lincoln Park for Lincoln Park Day. 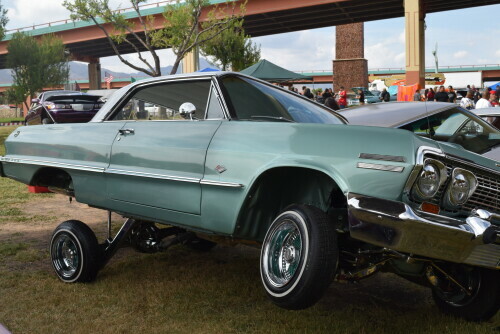 Chevy Impala lowrider being showcased in celebration of Lincoln Park Day in El Paso. 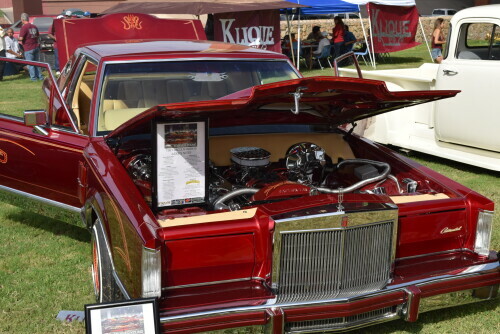 Prestige Car Club showcasing their lowrider with Aztec art on the hood for Lincoln Park Day in El Paso. 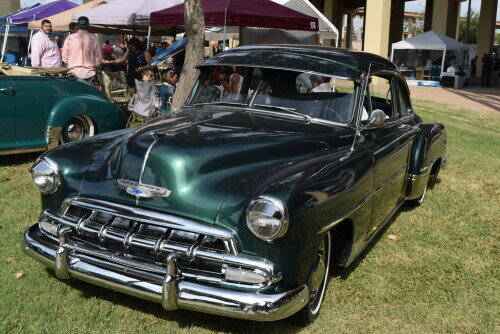 Chevy Club Coupe hot rod being showcased in El Paso for Lincoln Park Day. 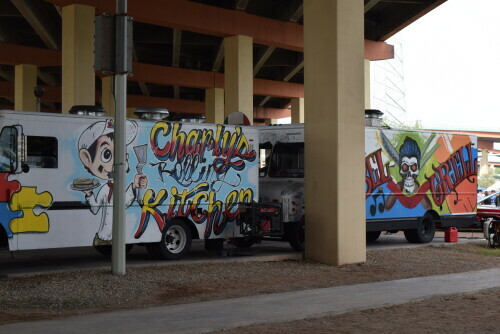 Festive Food Trucks providing great meals to people celebrating Lincoln Park Day in El Paso. 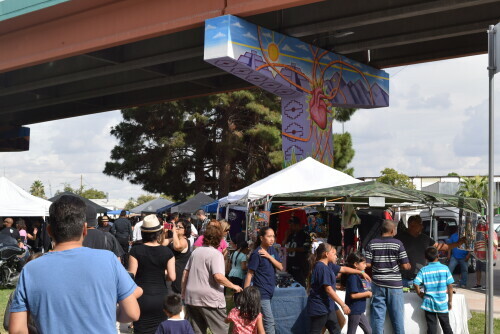 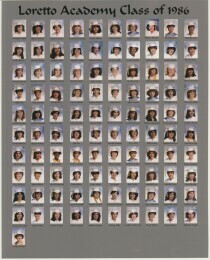 Vendor booths stationed underneath Gabriel Gaytan's mural "The Corazon/Heart of El Paso" on Lincoln Park Day. 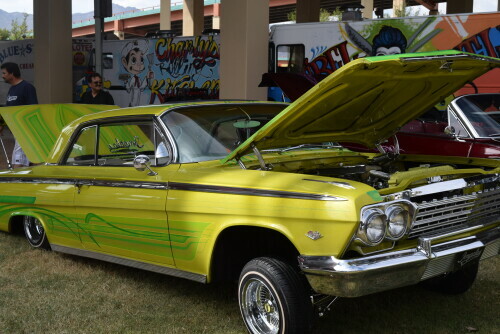 Chevy Impala lowrider being showcased next to food trucks at Lincoln Park for Lincoln Park Day. 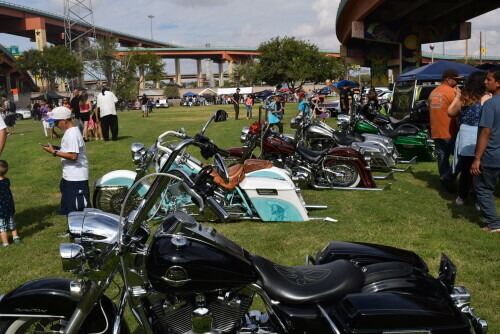 Hot Rod Motorcycles being showcased in celebration of Lincoln Park Day in El Paso. 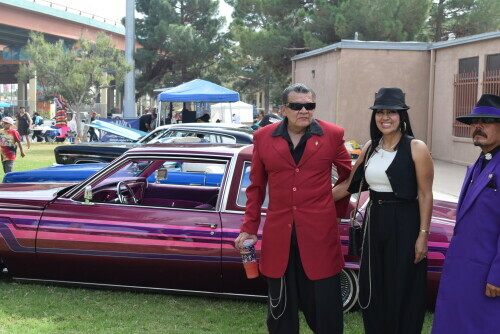 Blue Lincoln Centennial lowrider from Odessa TX is showcased to celebrate Lincoln Park Day in El Paso. 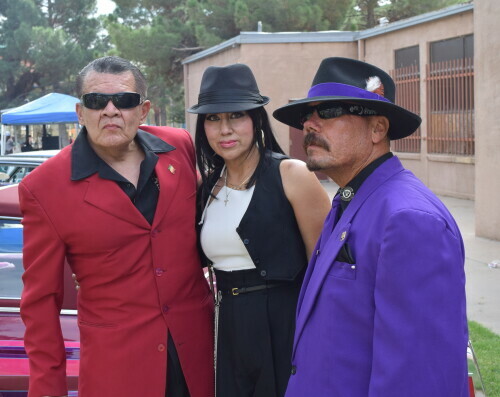 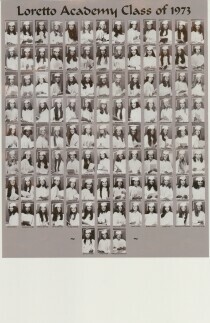 Individuals of Chicano heritage dressed in zoot suits standing next to a low-rider celebrating their roots at Lincoln Park Day in El Paso, Texas.